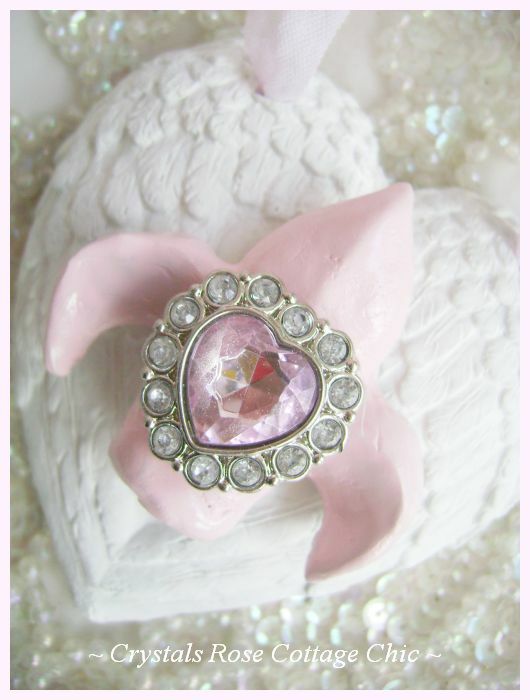 These lovely, clay, heart shaped, angel wings have a shabby pink, Fleur De Lis with pink, heart rhinestone for a touch of bling! Hangs from pink seam binding ribbon for a vintage look. A sweet, little touch of Frenchy/ Shabby Chic decor! More than one available.